This afternoon my son had fun standing on his step at the sink playing with water and bubbles. He said to me 'mummy I'm having so much fun'. 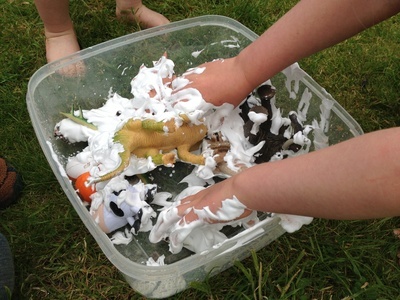 It was such a simple and free activity and his enjoyment made me smile. It got me thinking about what other simple activities we could do. 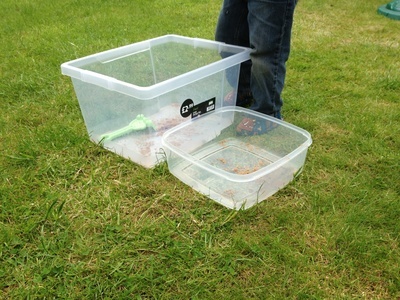 Collect some empty plastic boxes. Hunt around your house and garden for interesting items and textures. Try anything from dry pasta to lentils or scarves. 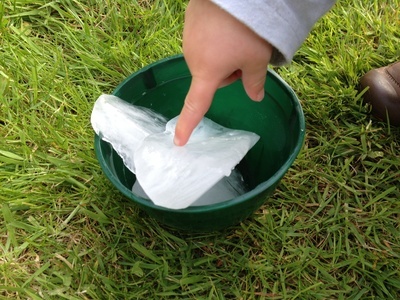 Freeze some water and break up into large blocks. The cold slippery ice is interesting to explore. 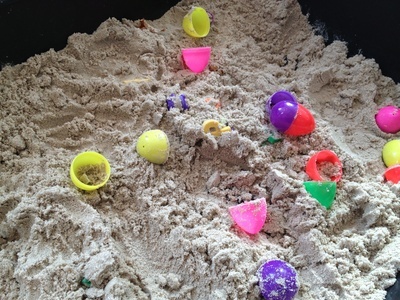 Fill a box with play sand and add some toys. These plastic eggs were great for Easter. 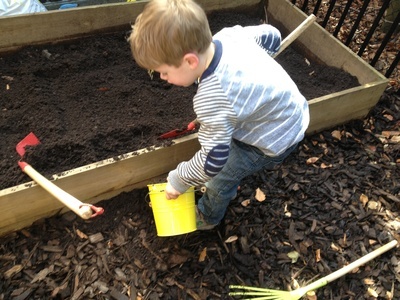 Some soil and a few spades or scoops can create quite a bit of mess but it's great fun. 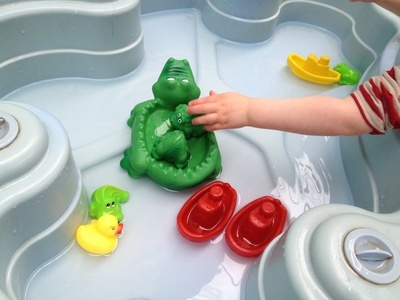 The easiest, cheapest and most fun on a sunny day is water play. Or just have a long bath time with lots of toys.